The reason for orange today? Well it all started with the fact that this morning Etsy was under maintance which ment no Etsy from 9am till 3 p.m. here. 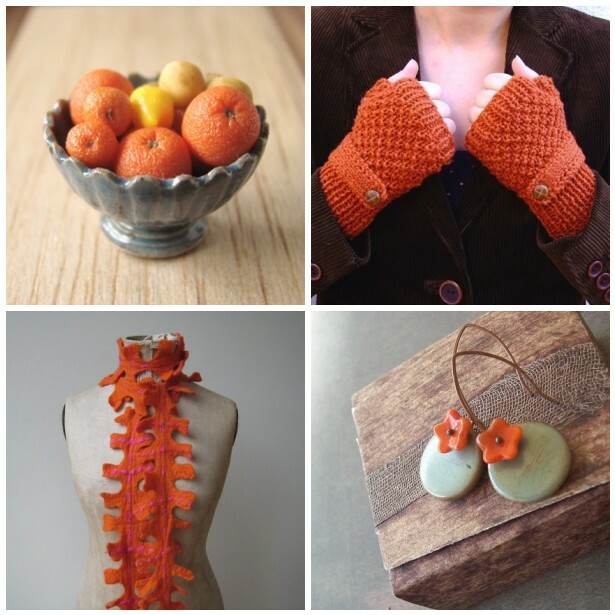 As orange is the color of Etsy I decided to go for this color. But while searching I also realized that it is a perfect autumn color and with plenty of extra vitamine's that we need so much in this season. And not to forget Haloween and pumpkins! Very autumnal and warm collection. Thanks for spreading the energy!